The smile of no cash. There is something knowing about the title of Visa’s latest initiative, the Visa Challenge, in which the payment company will offer 50 restaurants, cafes, and food trucks $10,000 each to eliminate cash payments. “We are declaring war on cash,” a Visa spokesman told the Associated Press. It’s a bit like if GM issued a Chevrolet Challenge, and gave you money to drive around in a Silverado (perhaps in exchange for ditching your bicycle), or if Anheuser Busch InBev paid you to drink exclusively Budweiser. Despite Visa’s exhortations about the perks of running a cashless business, it’s an admission that for merchants, reliance on the American credit card triopoly is an unpleasant predicament. Why would food service establishments need a $10,000 incentive to stop collecting cash? One reason: While the proportion of purchases made with cash has fallen steeply over the past few years according to the Federal Reserve Bank of San Francisco—from 40 percent in 2012 to 32 percent in 2015—that decline has been concentrated in high-value purchases. Young people and poor people are most likely to use cash, and “food and personal care” account for more than half of cash transactions. Another: The U.S. has some of the world’s highest “interchange” fees, the percent of a purchase the merchant must pay to the cardholder’s bank. Big interchange fees enable credit card companies to offer sweet rewards to big-spending consumers and get paid by the banks that issue the cards—at the expense of small businesses and customers. Swipe fees at a cafe become part of the price of a cup of coffee, principally to the detriment of cash customers and “vanilla” cardholders who aren’t earning airline miles when they get their caffeine fix. Independent businesses don’t like credit card companies. According to a 2016 survey of independent retailers conducted by the Institute for Local Self-Reliance, the median share of revenue spent on swipe fees was 3 percent. Small businesses pay more in swipe fees than they make in profit in many cases, ILSR co-director Stacy Mitchell said, meaning that the banks and payment companies make more money from those businesses than the owners do. Not surprisingly, the survey found strong support for a federal cap on swipe fees, which add up to more than $50 billion a year for U.S. retailers. Most European countries have caps on interchange fees, which creates an incentive for merchants to embrace the shift towards card payments. The U.S., on the other hand, has had a cap on debit fees since 2011, thanks to the Durbin Amendment to the Dodd-Frank Act. But a perverse consequence of this rule was the elimination of small-ticket discounts, as payment companies rushed to charge the maximum permitted fee. Meanwhile, the Obama DOJ fought to a $7.25 billion settlement with Visa, MasterCard, and the banks in 2012, after retailers accused them of fixing payment fees. 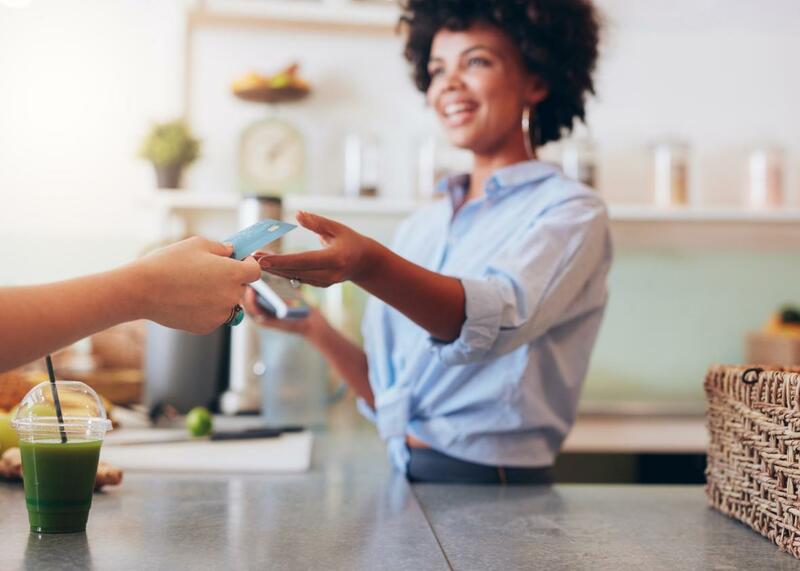 Visa maintains that small businesses can save money by ridding themselves of the hassle of cash, citing an unreleased study called “Cashless Cities.” They’re right that handling cash is a big operations expense. Still, many food service customers buy in cash. And since there remains so little competition in the setting of interchange fees, getting rid of cash gives businesses just a little less leverage. The cashless society is made to sound like utopian vision of the future. Instead it’s the same old story: More profits for banks and credit card companies.